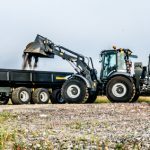 Lännen Wheel Loader Backhoes are strong, fast and versatile machines with excellent off-road properties for different challenging operations. 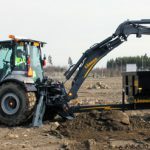 These machines combine a versatile wheeled loader with an efficient backhoe. 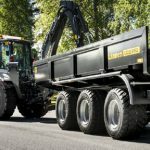 The Lännen Wheel Loader Backhoes are multi-function machines for infrastructure construction and environmental engineering. 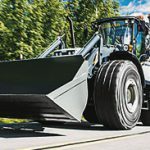 They are ideal for municipal public works such as the building of heat, water and electricity networks, and for the construction and maintenance of railway networks.